Which ones will you be heading to?! 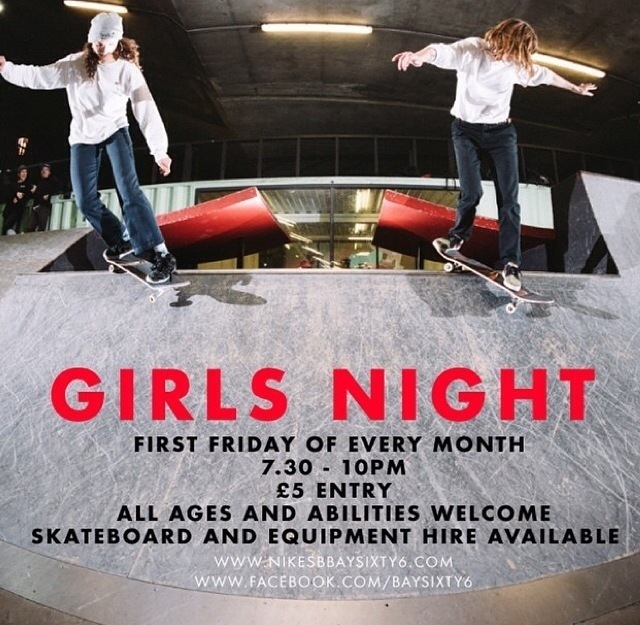 The girls night we helped to set up at Projekts Skatepark in Manchester proved so popular they increased the sessions to every other week! There will be one tonight at 7pm – Get your self down! First Friday of the month, as always! Always a good turn out with a friendly atmosphere… we will see you there! SATURDAY 5th SEPTEMBER – The Level, Brighton followed by an afterparty! 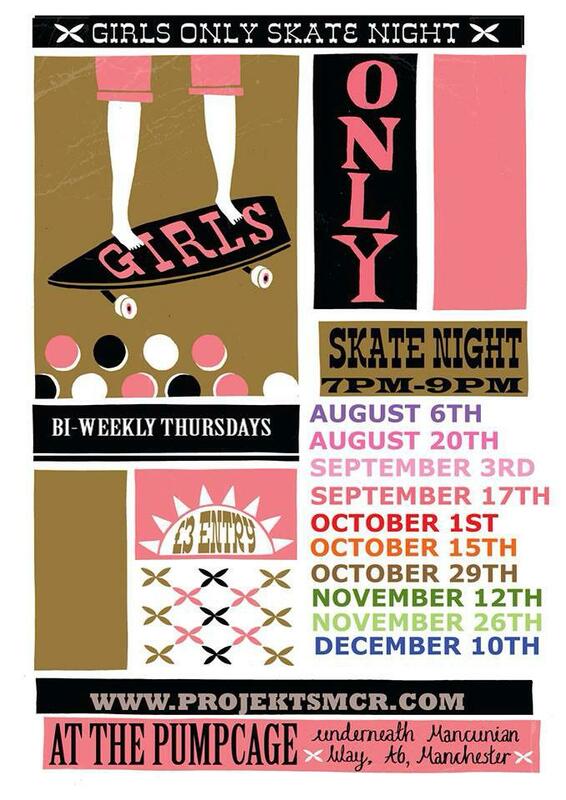 Following last year’s huge success, when over 30 top UK riders gathered at Mile End skate park to close the Summer season with an amazing day full of fun, sun and shredding, The Unicorn Girls Skate Jam is back on Sunday 6th of September. 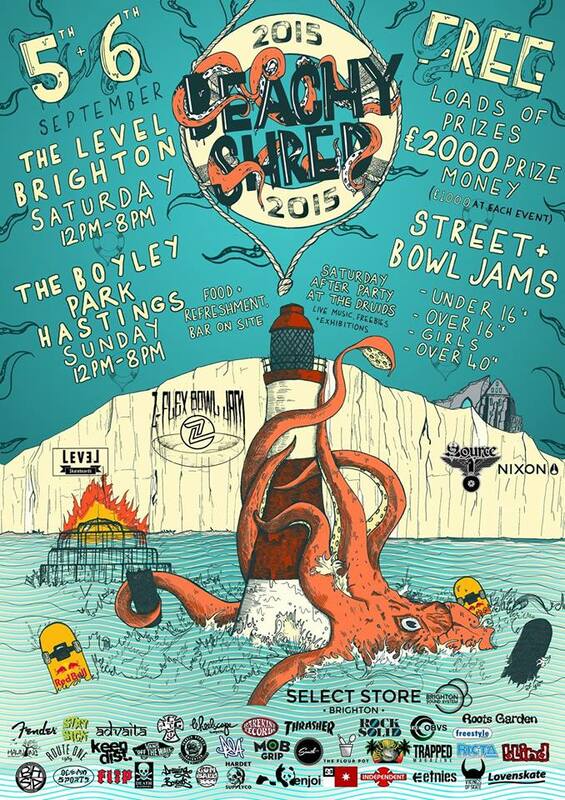 Join us at 1pm at Mile End Skatepark! See our post here for all the info you will need! Or join the Facebook event page here! Weekend in the City is a Manchester based event where teams of 5 (inc filmer) take to the streets of Greater Manchester and film a video over the bank holiday weekend. They then have one week to edit and submit the video before the Premiere night this Sunday 6th September, 8PM at Fallowcafe. FREE ENTRY! For all you under 18s, there will be a showing at the Pumpcage from 2pm! 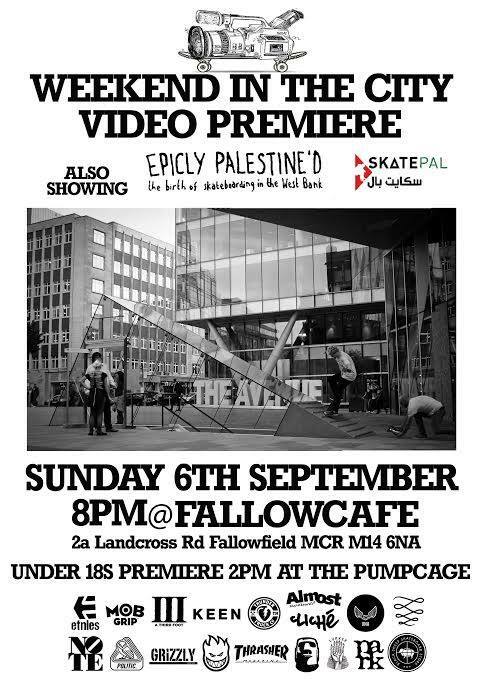 There will also be a showing of “Epicly Palestine’d” A film about the birth of skateboarding in the West Bank, a raffle and cakes for sale to help raise funds for SkatePAL! 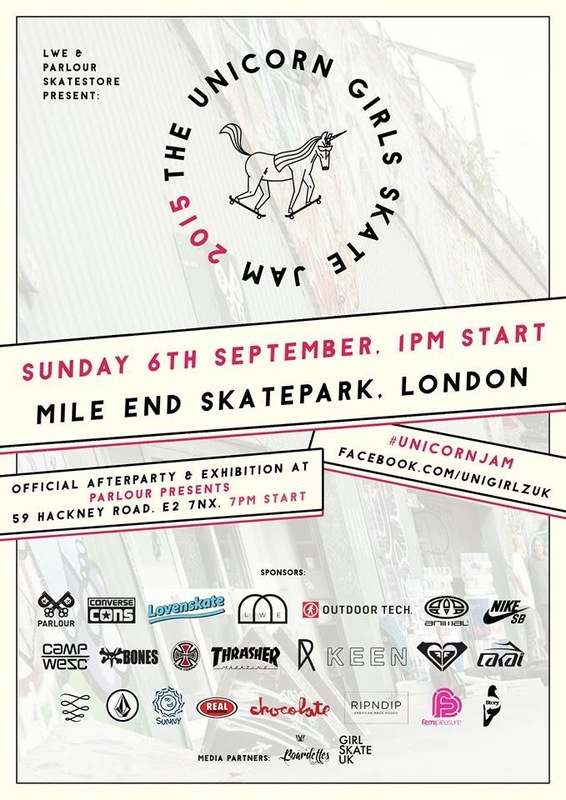 ← Unicorn Jam at Mile End THIS SUNDAY 6TH Sept!